Perhaps it's a good thing that I was only in Savannah for a few days as the food was so good. Every meal was a winner. 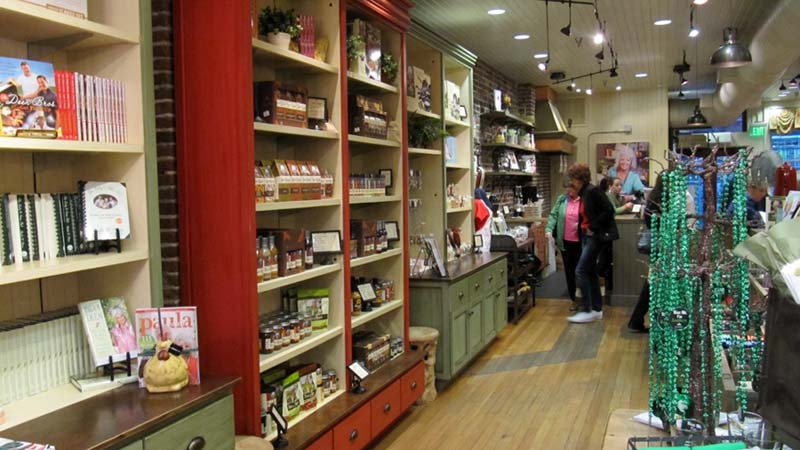 The cafe, Goose Feathers, has very good bagels and we ate there twice. I was tempted to take a dozen home with me. Maybe I'll bring a bigger suitcase and do it next time. We had dinner on the first day at a Italian restaurant with the whimsical name, Vinnie Van Go Go. We had calzones and they didn't skimp on the ingredients, especially the mozzarella cheese. Wonderful tomato sauce, too. It was definitely a winner. If you ever go there, bring cash, as they don't take checks or credit cards. 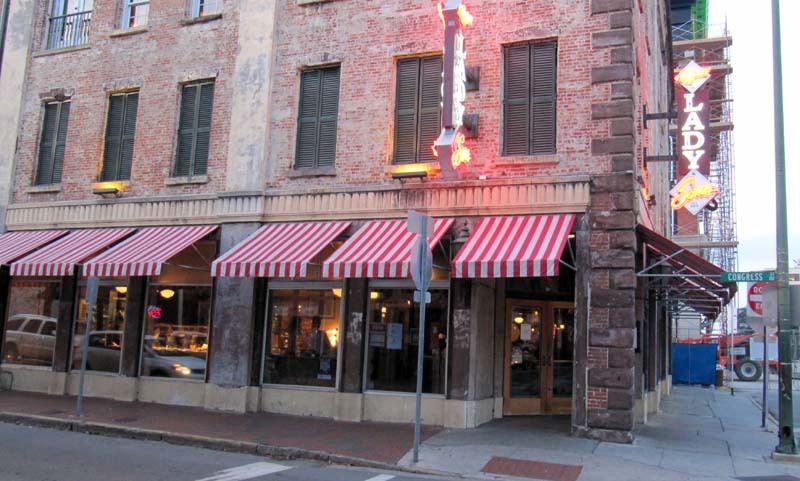 How can you go to Savannah without eating at Paula Deen's restaurant, The Lady & Sons? They don't usually accept reservations for groups of less than 8 people but made an exception since I was coming such a long distance. 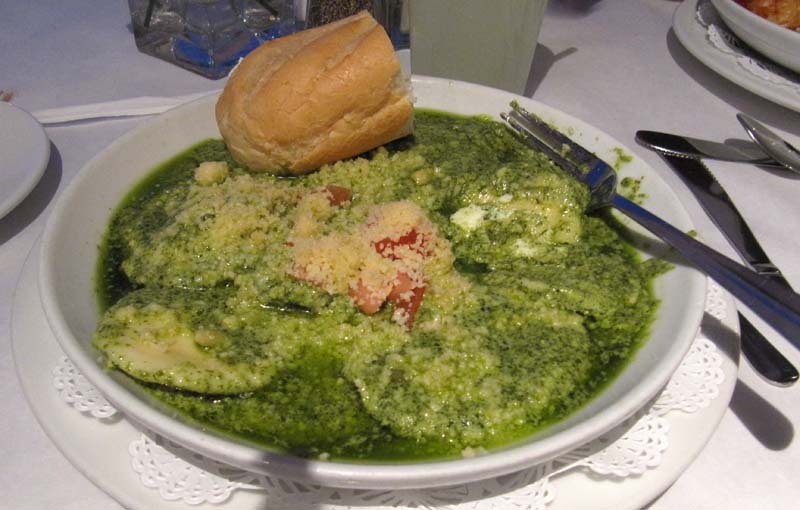 The food is delicious and mostly bad-for-you. That's probably why I liked it so much. There was classic southern food on the buffet: fried chicken, mac and cheese, collard greens, ribs, and much more. Oh yeah, there was a salad bar, too. I never did get around to sampling the salads - too healthy! Dessert was a double chocolate concoction that was a pudding/cake type of thing and a peach cobbler. Beside the restaurant is the Paula Deen Store. I couldn't resist picking up one of her cookbooks, which was signed, and this week I'm going to attempt to make her mac and cheese. This picture only shows about half of the shop. It was delicious and the portion was very generous. The ranch salad dressing on the salad (yes, I had salad on this night) is the best I've ever had. If (when!) 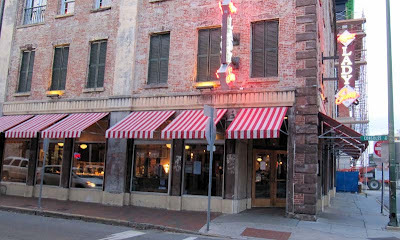 I go back to Savannah some day I'd love to go back to Huey's again. Next time I'll wrap up the travelog and I'll tell you about the yarn. You knew that there would be yarn involved, didn't you?